The name Osborne is used all other the south coast, but in this instance the Osborn (note the spelling) is Charles Osborn, who owned and developed the land. He saw that his named lived on both in this street and in Osborn Road South, which was originally named Charles Street. Before it was built in the 1840s, there was a path down to the church which still connects to Trinity Street today. 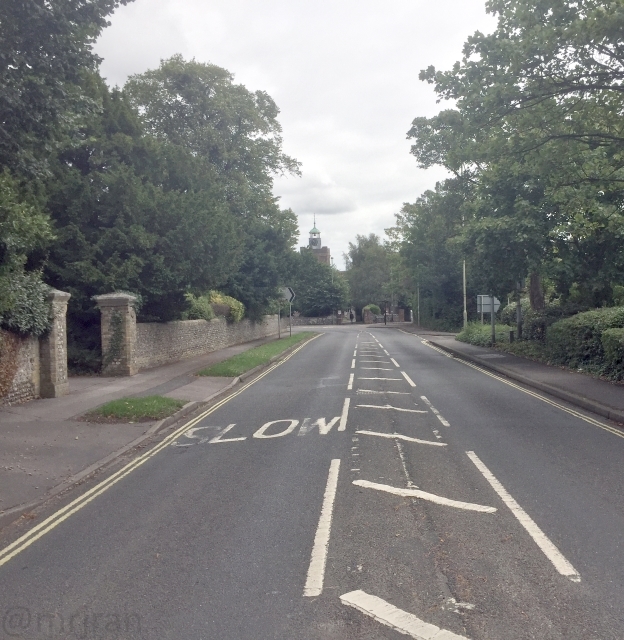 It starts where Wickham Road meets the High Street (the right turn ban here being an attempt to push exiting traffic on to Wallington Way) and snakes around St Peter and St Paul's Church. The Ashcroft Art Centre is the oldest building here. It was once the Fareham County Primary School (a girls' boarding school which cost 2p a day), which it served as until the 1990s. It received a significant extension at the end of the 19th Century, where it extended over the alleyway to the fields on the other side. The terraced housing was built in the early 1900s, and the post office on the corner was slightly older. Archery Lane, and the double bend here and at Church Path, provides evidence of what would have been the path to and around the church. From here it joints its true course, which is aligned to give a good view of the church building. The gap between the road and the path made for large plots of land on which large houses were developed, although not all immediately. The four houses nearest the church were built at the end of the 19th century in one field. The vicarage is older. On the south side was fields and a gravel pit, with a tennis court appearing on the map in the 1920s. These gave way to Fareham's grand redevelopment plans: the first car park in the corner appeared in the 1960s, and was then completely changed by Ferneham Hall and the Multi-Storey in the 1970s. The Osborn Road Multi-Storey car park was the first in Fareham to charge for its use, at 5p an hour. Locals claimed that no-one would use it, they were quite wrong, but it has seen better days. In fact the wide opening around the entrance to the car park, as well as the various car parks in the area, are signs that after it first opened in 1975, people would have queued all across town from all over Hampshire in order to reach it. Palmerston Avenue (named after the Palmerston Forts on the hill) was built in the 1920s. Westbury House was built at the end of the road in the 1940s, but was swallowed up as part of the shopping centre complex. A trackway was already on the map before Harrison Road and Westbury Road (now Westbury Path) were added. It became a full street at the end of the 19th century, when more houses were built, including those west of here. Westborn Road, with its link through to Westbury Path, was built at the same time as Palmerston Road. The telephone exchange at the end of the road appeared in the 1940s, although most of its hideous buildings are probably from the 1970s. Opposite the Holy Trinity Vicarage, the road would have turned sharply south, avoiding a line of houses by Prospect Place. The next part was called Charles Street, but it became Osborn Road. 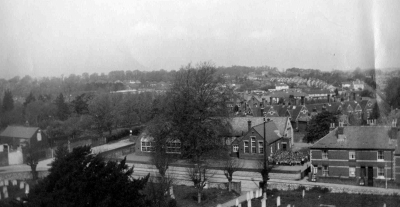 In 1959 the extension to Osborn Road was built and the remaining leftover became Osborn Road South. The rest of the space occupied by the houses became a car park, while a nursery here shrank down but stayed on site until well in to the 1990s. The closure of the Trinity Brewery, and general redevelopment of Trinity Street in the 1960s, left a lot of space which was eventually used by the garden of remembrance and the United Reformed Church. Aside from a few late 19th Century houses at the southern end, there is little to report on Osborn Road South. Osborn Cottage went on to become the police station and court house. The original police station still survives with the former sergeant's upstairs rooms clearly visible. In the 1940s houses were added along the eastern edge of the street, while the western edge was bounded mostly by gardens. These were briefly sold off to create more houses. Malthouse Lane was built in the 1970s, serving a car park which replaced a bowling street. The gospel hall was moved from a previous position at number 1 Osborn Road South. The Malthouse street name was recycled from an old street surfaced with malthouse tiles, which went from a couple of adjacent cottages (including numbers 4 and 5 which survived all the work) down to West Street. The completion of Osborn Road paved the way for the creation of Fareham's one way system, which could have been immediately or a few years afterwards (instinctively I would say it wasn't done until Western Way opened, possibly when the shopping centre did). The traffic lights at the end of the road were likely to have been added in 1965.